If you constantly lose or misplace things, a new tracker has just launched on Indiegogo that offers unlimited nationwide range and near real-time tracking. Measuring just 1.77″ x 1.22″ x 0.35″ the versatile gadget is very tiny. This means you can attach it to a bag, a kid’s bracelet, keys, throw it in your luggage and more. It has a couple of loops so you can slide it over a strap or pet collar, too. 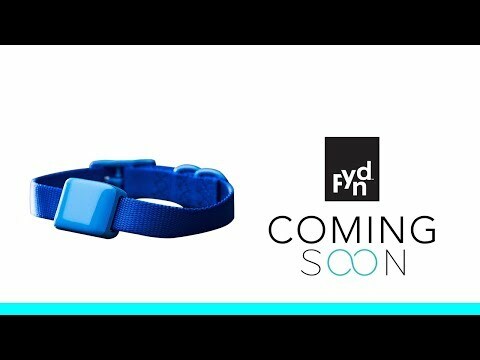 While many devices out there work for exclusively valuables, pets, or kids, Fynd is a multi-purpose tracker. The specs are pretty impressive as well. The company says Fynd is the world’s smallest cellular tracking device and the first to use 4G LTE. You get an LTE Cat.1 modem; Bluetooth 4.0 connectivity; IP67 water-resistance; speed, direction, activity and temperature tracking; and Qualcomm’s Snapdragon 1100 dual-core 1.2GHz processor for making sense of all the data. The device couldn’t be any simpler to use. Just charge it up and attach it to whatever you want to track. The accompanying app shows its location, accurate to 1.28 seconds (nearly real-time) and 10 feet. When the little gadget is within 100 feet of your phone it will use Bluetooth. Outside of that range it will automatically switch to LTE. And this is the main advantage of Fynd. Cellular radio gives you better service than Bluetooth alone. Battery life is up to 5 days with 4G LTE switched on, and an impressive 60 days with only Bluetooth connectivity. There is also a standby mode which will keep the 210 mAh battery going for up to a year. You can pick up Fynd on Inidigogo for $60, which is 40% off its eventual retail price. Cellular connectivity will set you back $14 a year, or $2 a month. Backers can expect to receive their device starting in February.